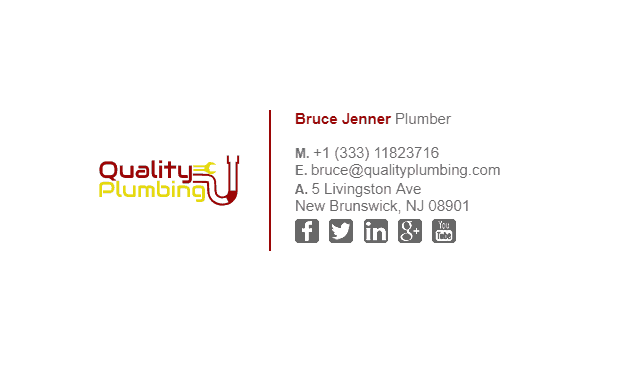 Plumbers, like other tradespeople have a massive pool of loyal customers. 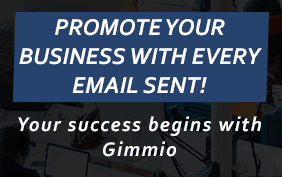 You can easily take advantage of this if you use an email signature to get customers following your business on social media pages such as Facebook or Twitter. 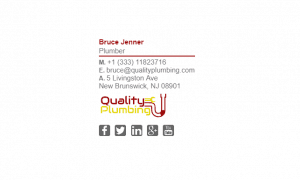 You can achieve this simply by putting social media icons on your email signature. 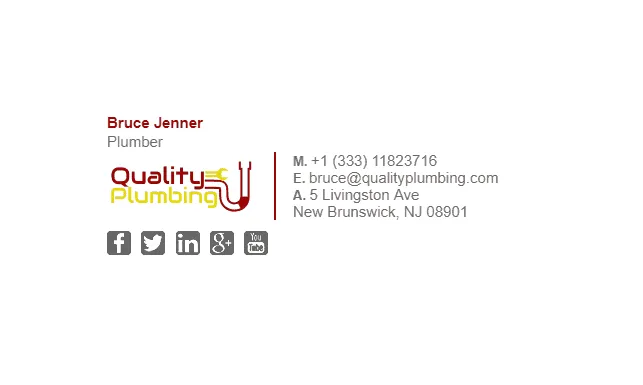 For tradespeople, social following is a huge advantage and can provide you with a lot of future business. 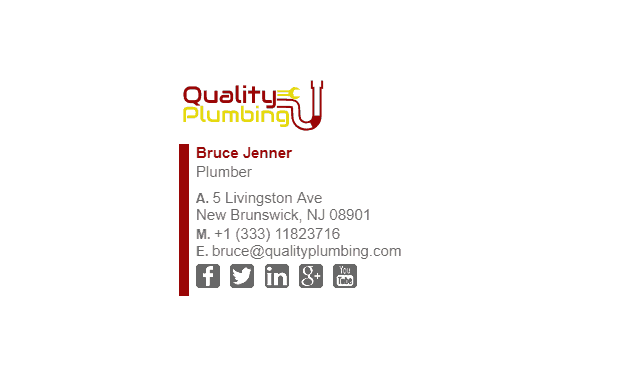 We have created some plumbers email signatures below. 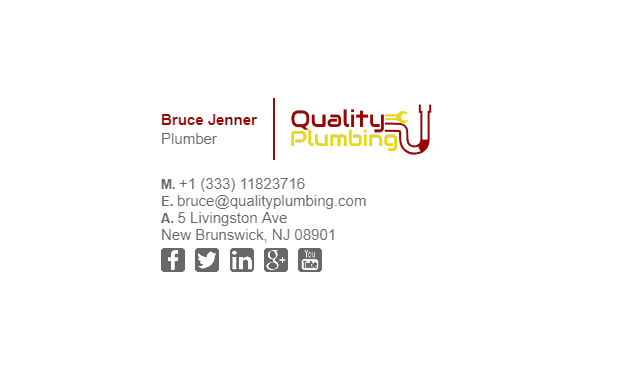 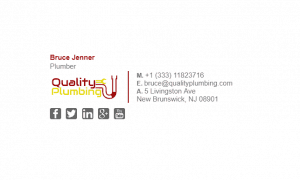 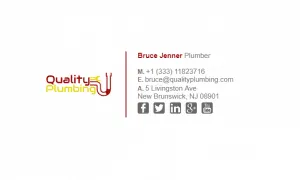 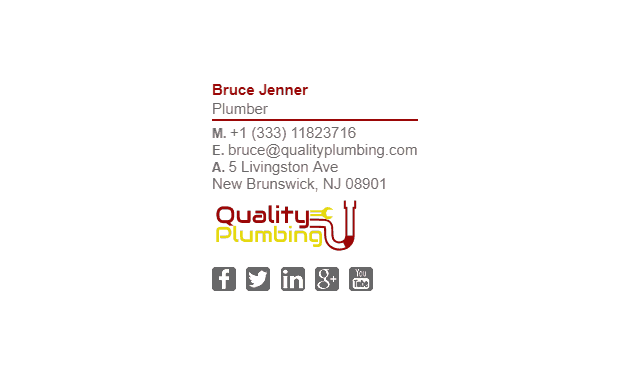 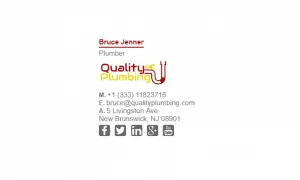 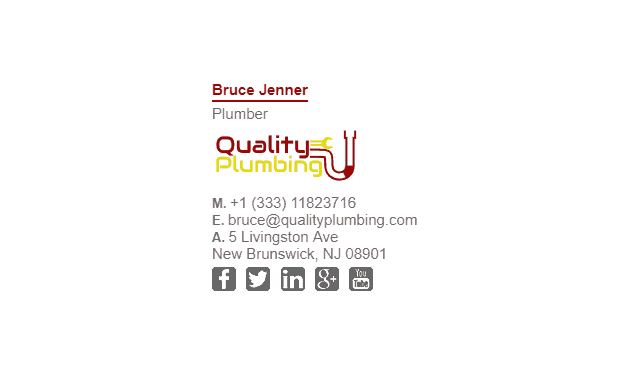 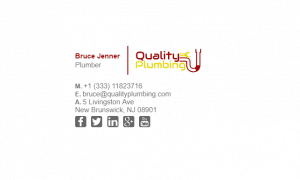 What Should Be Included in a Plumbers Email Signature?